Following our recent call for nominations, we are delighted to announce that Graham Stanley, Christina Giannikas and Raquel Ribeiro were nominated for the positions of Newsletter Editor, Development Administrator and Social Media Manager respectively and have now been elected to the committee. Graham, Christina and Raquel have been deeply involved in the LTSIG and have great experience in the roles they are taking over. More information about their background and vision can be found in their statements of purpose below. Please, join us in welcoming all three new committee members onboard! I have been a teacher for 25 years and have always had a special interest in learning technologies. I am currently working in Uruguay for the British Council, managing a project to teach English to primary school children via videoconferencing. I was IATEFL LTSIG Coordinator 2010-13. 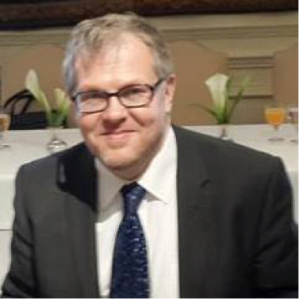 I am author of Language learning with technology (CUP, 2013), winner of the English SU ELT book of the year; and of Digital Play: Computer games and language aims (Delta, 2011), which won a British Council ELT Innovation (ELTon) award for teacher resources. Since then, I have continued to contribute to IATEFL and the LTSIG, writing a book chapter for publication and participating in webinars. I look forward to extending the reach and influence of the newsletter and the LTSIG, filling it with both practical ideas for teachers to use in class as well as informing members of the latest developments in the field. I would also like to explore the medium of the newsletter and the way it is distributed so that it becomes a showcase for the work that IATEFL and the LTSIG are doing. Ι hold a PhD in the field of Applied Linguistics and TESOL. Ι currently teach courses in EFL at an Undergraduate and Postgraduate level at the University of Cyprus and I am a teacher trainer for the pre-service program offered by the Ministry of Education and Culture of Cyprus. 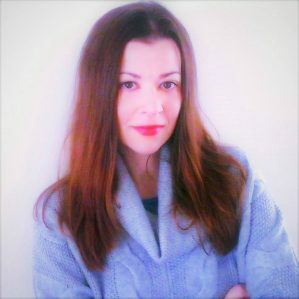 My research interests focus on, Computer Assisted Language Learning, socio-constructive approaches in educational technology, the use of technology with young learners, and technology in professional development programs. I have excellent PR, organizational and planning skills that make me an ideal candidate for this position. My vision is, in collaboration with my colleagues, to take the SIG to new heights through quality administration, research publications, innovative events and more extensive member benefits. 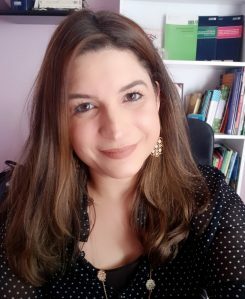 I’m Raquel Ribeiro dos Santos from Brazil and I’m applying for the Social Media Manager position at the Learning Technologies Special Interest Group. I am an edtech blogger with extensive experience in creating videos and actively managing professional accounts on Linkedin, Instagram, Twitter and Facebook. I joined the SIG in 2014 and in 2016 I was awarded the LTSIG Birmingham Travel Grant. Since May 2017, as a subcommittee member, I’ve been taking part in the SIG events more closely. This has enabled me to get familiar with the workflow in terms of media reach and interaction style focusing on current and prospective members. By taking part in LTSIG online and on-site events, I am already familiar with the LTSIG way of working and promoting our events on a regular basis. I’m passionate about spreading knowledge and CPD opportunities to fellow teachers all over the world. At this point of my career as an EFL teacher, edtech blogger and lecturer I have enough experience and confidence to collaborate with the LTSIG committee.